Text and data trapped behind scanned or image PDFs can't be copied into a regular document. Special OCR technology needs to be implemented, and Cometdocs has one of the best services on the market. Premium users can convert all scanned PDFs into editable and ready-to-use data quickly and easily. The most frequently used office formats are not fully compatible with one another and high quality conversions are often necessary. With Cometdocs, even text data like forms, tables, images, borders, margins are perfectly visible and conserved in Word documents. 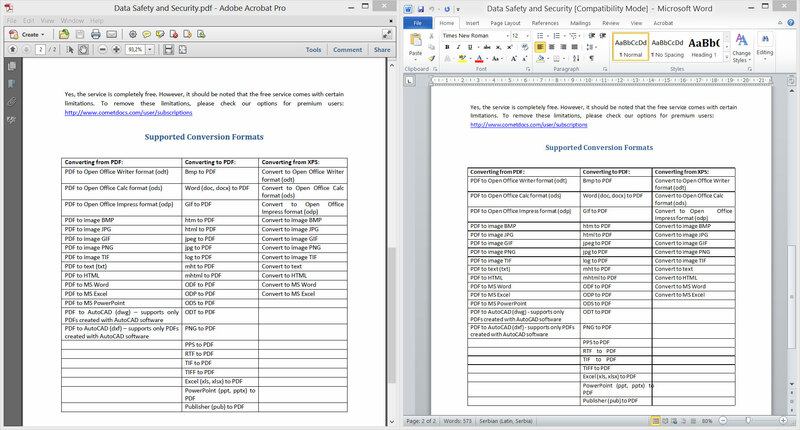 Cometdocs' PDF to Excel conversion technology is its proudest achievement. 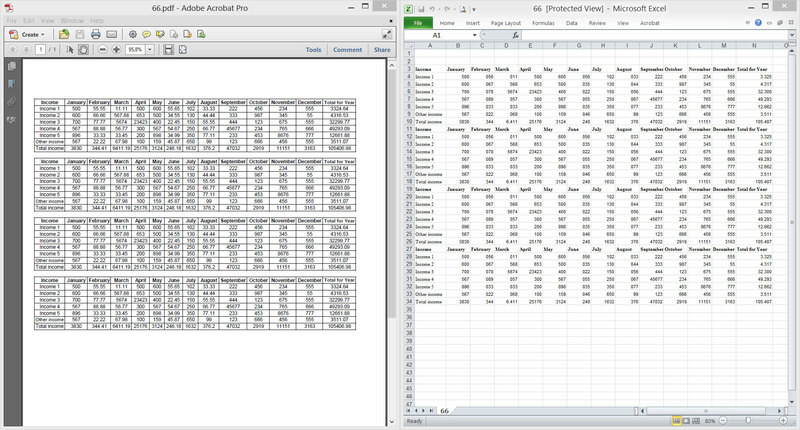 No matter how a PDF table was created and what type of data it contains, Cometdocs will turn it into a fully manageable Excel table ready for further calculation and analysis in matter of seconds. 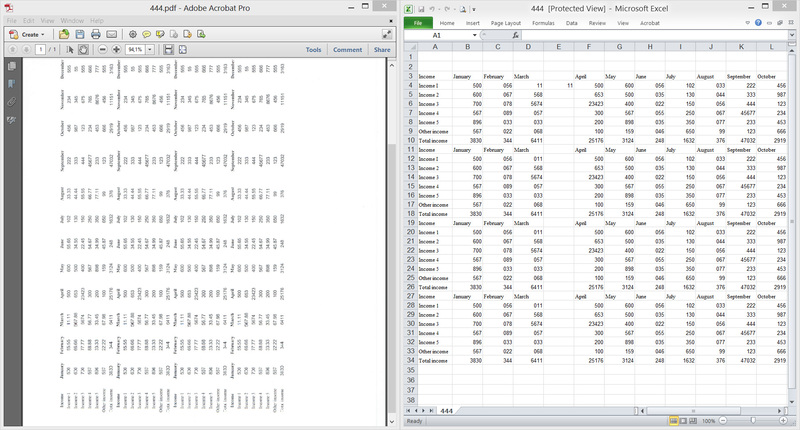 Premium users can enjoy the benefit of custom Excel conversions from our support team. While PDF presentations are often easy to print and share, they can be a pain to edit. 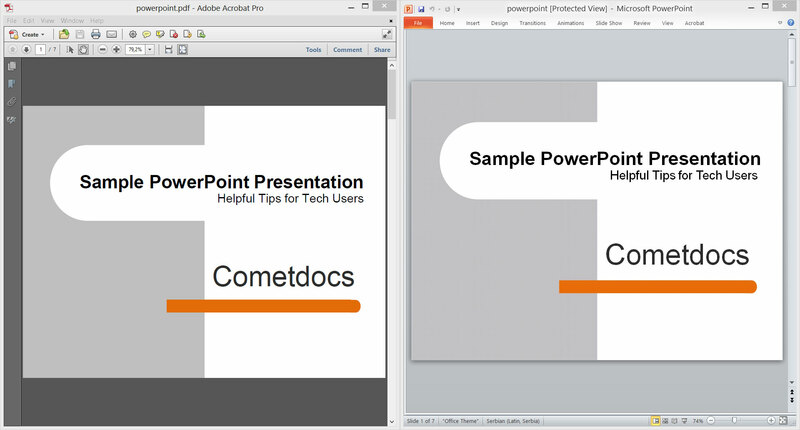 Cometdocs can be a great timesaver, with PDF to PowerPoint conversions that can save hours spent on editing presentations slides. The newly-converted PowerPoint presentation will be ready to be used and display immediately. 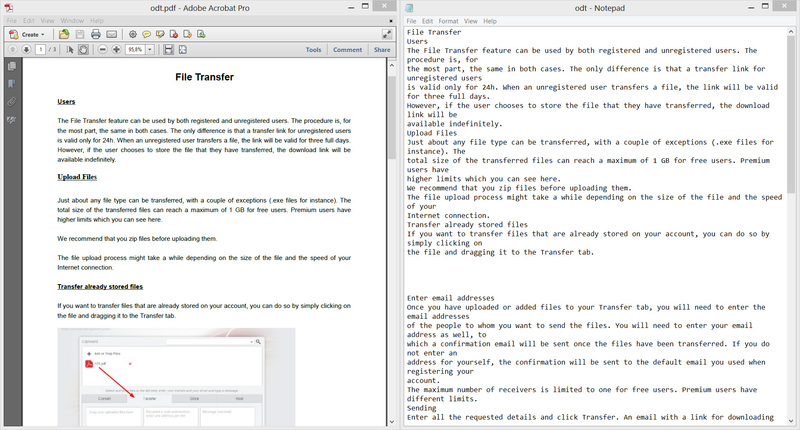 Sometimes all we need is a plain text extraction from PDF documents. Our powerful technology allows users to get just the text and nothing but the text out of a PDF, converted into .txt or .rtf format without having to worry about unnecessary details that might be found in the original PDF, such as tables and images. 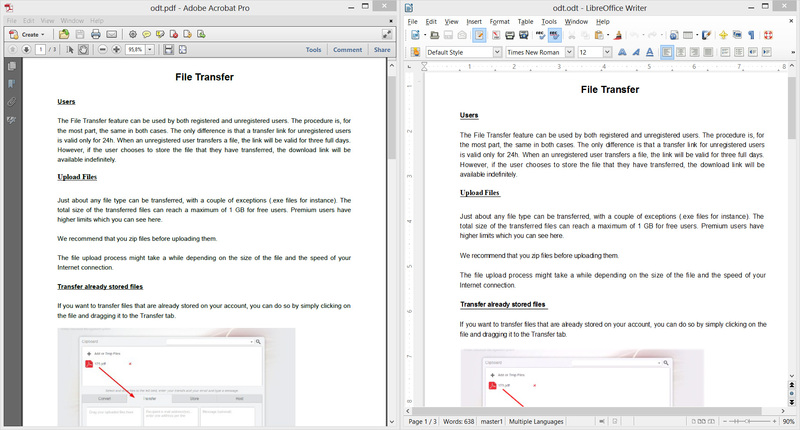 The most popular Microsoft Office alternatives, LibreOffice and OpenOffice, have their own formats like ODT or ODF. Cometdocs allows users to convert PDFs directly to these formats, without having to deal with other formats in between. Cometdocs offers many more format conversion options. Users can convert to and from XPS formats, turn large PDFs into any type of image format, or turn PDFs into easy-to-use web formats like HTML. Sign up and start converting today.